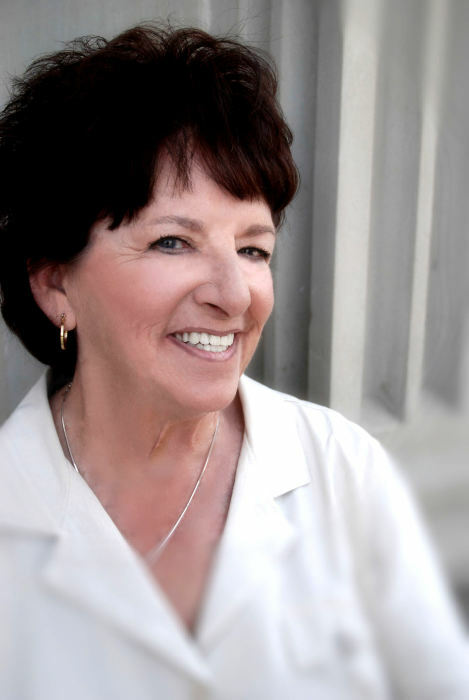 Constance M. Aaronian, of Ogden, Utah, passed peacefully in her home after a courageous and powerful battle with complications from cancer on February 5th, 2019. She finished her authentic journey of this lifetime surrounded by family, friends, and loved ones. Connie, as many came to know and love her throughout her lifetime, was born on June 13th, 1942 to parents Rita (Le Blanc) Donohoe and Edward Donohoe in Lawrence, Massachusetts. She spent most of her earlier life in Massachusetts before locating to Utah in 1983 where she resided and fell in love with the State. Connie was raised in a loving Catholic family, where she graduated from Lawrence High School and ventured out to experience life as a unique and beautiful woman. She soon became a devoted and proud mother to three children, Scott Aaronian, Lisa (Aaronian) Smith, and Michael Aaronian, whom she loved more than any words could ever express. Connie had a zest for life that included travel, music, dancing, bowling, laughing, loving those close to her heart, doing things for others (even strangers), and being involved in community fundraising and nonprofit activities. Being a mother to her own kids, Connie adored all children. She felt as though no child should go without love, a smiling face, or a tender hand. No Christmas Angel Tree was untouched by Connie’s unique generosity. She was a remarkable mother and friend to so many! Connie made friends wherever she went and took her family with her. After residing in Utah for a while, Connie went to work for the Ogden City Police Department where she made many multifaceted friendships. Several of these remained as more like adopted family in Connie’s life to the end of her journey. She loved her work for Ogden City Police Department where she retired in August 2014. Connie was well known for her devotion to her work and never hesitated to become more experienced than her job required. Connie loved and lost a lot in her “Authentic Journey” of life, but she never ceased to amaze, inspire, and touch so many people who “truly knew her”, even the ones that she briefly encountered. She stayed true to her spiritual beliefs in Christianity, as she wrote: “This world changes so drastically; people can see past their indignities, reach inside and pull out a load of love for those who might walk on by. Because it all comes out in the wash anyway!”. She blessed many people’s lives with her heart, smile, benevolent spirit, her laugh, hugs, her devoted friendships with many, and her fierce bravery to say, “I love you”. She loved excitement. She loved truth. She deeply loved life and lived it fully! Connie is survived by so many who love her: David Olson (best friend/domestic partner), daughter Lisa Smith (Jason) of West Haven, UT, son, Michael Aaronian (Samantha) of Ogden, UT; sister Betty Donahue of, MA, brother Edward Donohoe (Diane) of FL, brother Dennis Donohoe (Susan) of MA, four grandchildren, Kolten Smith, Kyle Smith, Alaina Aaronian, Brandon Aaronian, and one great-grandson: Scott Smith. She is also survived by many nieces and nephews, great-nieces and nephews. Connie is preceded in death by her mother, Rita Donohoe, father, Edward Donohoe, sisters Patricia Donohoe and Kathleen Malloy, brother, Thomas Donohoe, and son, Scott Aaronian, all of whom she has missed throughout her life dearly but has been joyfully reunited with once again. Many relatives and friends who may not have been mentioned were not forgotten intentionally. We will all miss Connie dearly, where each of us will individually be reunited in our own time with this amazing and Blessed Woman, Friend, Mother, and Spirit of original nature. She made this world a better place because of her enlightened existence, and she lived it! In her last wishes, she hoped for everyone to follow in her footsteps in which she was best loved for and will always be remembered. Please join us for a Celebration of Connie’s life to be held on Saturday, the 16th of February at 2:00 p.m., at Leavitt’s Mortuary located at 836 36th Street in Ogden, Utah, where we invite you to share your favorite memory or story of Connie.